Should you take the 5/1 against Laws being first out? But will Dave and Nick try to tough it out? One betting market where you can bet on the future of David Laws is the PoliticalSmarkets one on Who will be the first cabinet member to leave? There has been a bit of movement overnight but currently you can get a price of 17% that Laws will be first to go. Speculation about what might happen to the Treasury Secretary has yet to put him into the favourite slot – currently held by Vince Cable at 22.22%. The critical thing is how the coalition duo, Dave and Nick, deal with it. Will they try to tough it out saying that nothing should happen until the Parliamentary Commissioner has reported or will they take early action? Past experience suggests that Dave sticks with his team. We saw that in the approach to last year’s expenses cases when it was alleged that those closest to the leader were being treated more favourably than those Tory MPs who weren’t. Even better examples are how he stuck with George Osborne in late 2008 when the “Yacht-gate” crisis blew up and, of course, last year’s attacks on PR boss, Andy Coulson, over the investigation on telephone tapping during his time as editor of the News of the World. Notice as well that former Tory chairman, Caroline Spelman, is there round the cabinet table even though she had a lot of questions to answer eighteen months ago over early expenses allegations. My guess is that Clegg will be loyal to his party colleague but that Cameron will make the final decision. Can anything stop the Milibandwagon? Is the momentum enough to see one over the line? With less than two weeks to go until nominations close, three candidates for the Labour leadership have now received the 33 nominations necessary to secure their place on the ballot: Ed and David Miliband and Ed Balls. Andy Burnham is just half way to the threshold while Diane Abbott and John McDonnell are stuck in single figures. There are still around 100 Labour MPâ€™s yet to declare but with the leading candidates clearly wanting to vacuum up as many as possible in their cause, Abbott and McDonnell will certainly struggle and even Burnham might not make it – the Milibands have more excess nominations than the three backmarkers have in total. 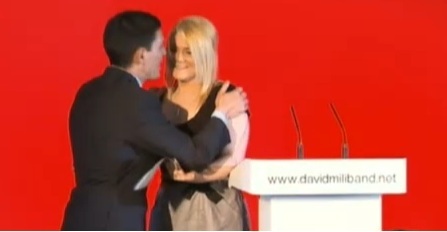 The question Burnham has to answer is what does he really bring much that one of the front-runners doesnâ€™t? His campaign website doesnâ€™t provide any answers (at least, not without joining a mailing-list up front), and looks amateurish, to be kind. In fact, things like his campaign launch, media non-appearances and website all contribute to an appearance that heâ€™s just not trying very hard. MPâ€™s have a keen sense for that sort of thing and if that is the impression that comes across, I really canâ€™t see him winning the one-sixth of the undeclared Labour MPâ€™s he needs to make the election. That just leaves the three already declared. Perhaps it wouldnâ€™t be too surprising. There havenâ€™t been more than three nominated candidates in a Labour leadership election since 1983 and the rules were different then. What then of Ed Ballsâ€™ chances? In many ways, he ought to be the candidate most suited to leadership in opposition, which is about taking the fight to the government and laying out an alternative which is attractive and easily understood – and Balls looks happiest doing both of those. On that basis, the odds on him winning – still in double figures – look attractive, yet that very length in a small field imply concerns, as does taking nine days to reach his 33 nominations, beyond the original deadline. Ballsâ€™ entire political career up until now has been in Gordon Brownâ€™s innermost circle and his personal and political style both look similar to his mentor. That wonâ€™t necessarily be as big a negative as some in other parties might assume but itâ€™s not exactly ideal either, particularly for the MPâ€™s section. However, in allowing a long contest, Brown may have done Balls the favour that Howard did Cameron (an even bigger one perhaps, in that heâ€™s left the field as well). That long campaign obviously played to Cameronâ€™s strengths; this one may play to Ballsâ€™. There will be time to compare and contrast their performances in debates and on the media. Whether that will be enough Iâ€™m not sure: heâ€™s still a lot of ground to make up but Labour has liked someone with a bit of passion in their oratory and fire in their belly in the past and of the three (or four if Burnham does make it), Balls looks most capable of delivering those sort of performances. One other factor will be the left-wing vote if neither Abbott nor McDonnell make it, as is likely. Balls has already started courting that vote with his Iraq War comments. It might not be enough. His negatives might be just too much whatever else happens but I wouldnâ€™t bank on it, especially at current odds. Thereâ€™s four months until the Labour conference and thatâ€™s more than enough time for the Milibandwagon to get stuck. Is PB over-reacting over this? Will this really bring Laws down? On reading the story I’m far from convinced. There is just a whiff of homophobia about the way that this is covered and I wonder if the paper would give it the same attention if the landlord had been female. I’ve suggested to the new political betting exchange, PoliticalSmarkets, that it puts a Laws survival market up. I would bet on him remaining. Did this prevent a Tory majority? It has long been the case that in American elections, incumbency has been an important factor. Until fairly recently, that was not considered to be the case in British elections. While it was acknowledged that Liberal Democrats could build up sizeable personal followings, the general view was that it was a very minor factor in the far more numerous Conservative/Labour contests. This view must now be challenged, judging by the results from May 6th. Overall, in seats where Labour had a majority of 14% or less, in 2005 (the seats that the Conservatives had to win to achieve a majority) the swing from Labour to Conservative was 6%, 1% higher than the national average. However, in seats which were being defended by Labour incumbents, the swing was reduced to 5.3%, whereas in seats being contested by new candidates, the swing was 7.3%. This may not appear to be a huge difference, but it matters enormously in marginal seats. To put it into context, had Labour kept the swing down to 5.3% in all of these marginals, they would have lost net 9 seats fewer to the Conservatives, almost certainly sufficient to have made a coalition with the Liberal Democrats a distinct possibility. Had the swing been 7.3% across the board, then the Conservatives would have won an outright majority. Striking differences can be seen in the same towns, between incumbents and non-incumbents. For example, in Milton Keynes North, where the incumbent was a Conservative, the swing to the Tories was 9.2%; in Milton Keynes South, where the incumbent was Labour, the swing was 6.2%. In Swindon North, where a new Labour candidate stood, the swing was 10%. In Swindon South, where the MP ran again, the swing was 5.5%. Most notably of all, perhaps, in Luton South, the swing to the Conservatives was 4.6%, while Luton North, where the sitting MP had distinguished himself during the expenses scandal, showed a rare swing to Labour of 0.5%. Equally clearly, Conservative MPs who were elected for the first time in 2005, enjoyed a notable boost. On average, they enjoyed a swing of 7.5% in their favour, well above average. Were the pattern to be repeated with Conservatives elected for the first time on May 6th, Labour would need a big swing in their favour before they could expect to regain a substantial number of seats from the Conservatives. As has been the case for some time, there was a substantial difference in the outcome where Liberal Democrat incumbents were defending seats, and where they stepped down. Overall, Liberal Democrat incumbents suffered a swing against them of 0.6% to their nearest challenger, on average. New candidates suffered a swing against them of 5.1%. Admittedly, this average conceals some huge variations in individual seats. Tim Farron, in Westmoreland & Lonsdale, enjoyed a swing of 12% in his favour; Lembit Opik in Montgomeryshire, suffered a swing against him of 13%. Clearly, there is also a reverse incumbency effect. Many MPâ€™s who had been heavily criticised, such as Lembit Opik, Jacqui Smith, Tony McNulty, Ann Keen, and David Heathcote-Amory, performed significantly worse than their parties did in their region. Equally, MPâ€™s such as Kelvin Hopkins, Nick Palmer, Vernon Coker, Sara Teather, Grant Shapps, and Justine Greening, who were seen as effective, strongly outperformed their parties. This must surely be a healthy development. MPâ€™s who work well for their constituents ought to get an electoral reward. MPâ€™s who donâ€™t, should not expect to be automatically re-elected. After all the expectations that the Lib Dems could see their vote squeezed in the deferred election at Thirsk & Malton the first major electoral test since the formation of the coalition has provided good news for Clegg’s party and bad news for Labour. 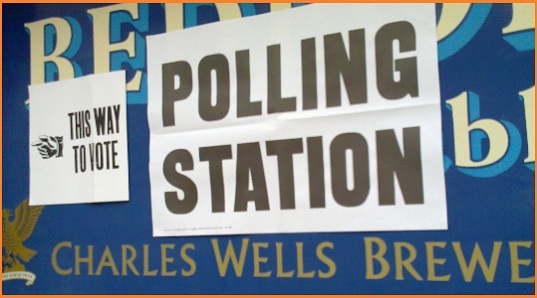 Voting in this final seat from the 2010 general election had to be put back because of the death of the UKIP candidate. That person’s replacement came away with a creditable result saving his deposit. A fifth candidate representing the old Liberal party received 1,418 votes. Turnout was in excess of 50% which was well down on similar seats on May 6th but well up on a similar deferred election in 2005. The SportingIndex handicap bet that was tipped here on Sunday proved to be the winner that it always looked. I’m a few hundred pounds better off. 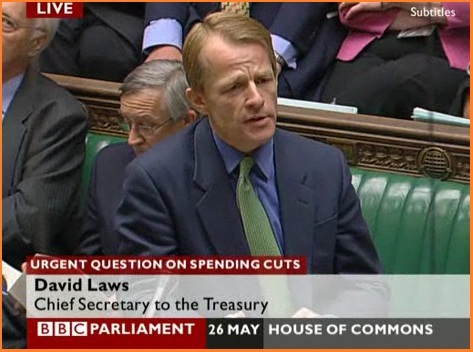 BBC2 Daily Politics programme. I’m booked to be taking part in a discussion on the outcome in the programme that starts at 12.00 PM. Is the coalition right to boycott Question Time? Should the Beeb have booted Alistair Campbell off the panel? This is from the BBC editors blog of Gavin Allen – editor of Question Time. “..This week, for the first time in my three years as executive editor of Question Time, we were told by Downing Street that a cabinet minister would only appear on the programme if another member of the panel was replaced. According to No 10, a senior member of the cabinet was available to do Question Time but only if Alastair Campbell was replaced by a member of the shadow cabinet. Very obviously, we refused and as a result no minister appeared, meaning that the government was not represented on the country’s most-watched political programme in Queen’s Speech week – one of the most important moments in the Parliamentary calendar. How will this look in a year’s time? The Conservative party is seen to be most professional, have the best team of leaders and to understand the problems facing Britain. Its image has improved significantly on these attributes since 2006. On the negative side it is is least likely to be seen to represent all classes or be concerned about people in real need in Britain, although it has improved slightly on both of these since 2006. The Labour party is seen as most divided and most likely to promise anything to win votes. However, its image has improved on both these respects since 2006. The Liberal Democrat party is felt to best represent all classes and be most moderate. Along with the Conservatives, it is felt to have the most sensible policies. Given the massive shake-up in the system that we’ve seen and the prospect of a new Labour leader I wonder how this will all look in a year’s time. 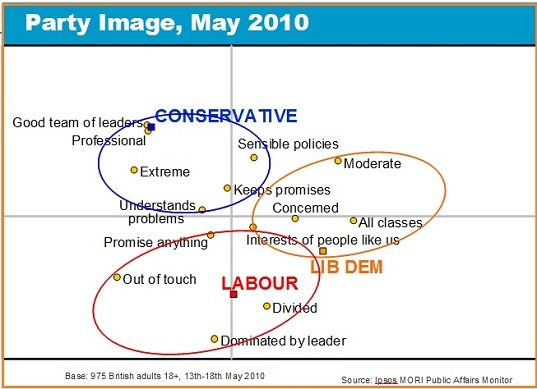 One of the great things about Ipsos-MORI is that it does ask the same points in the same manner consistently over the years and it is possible to track changing perceptions. Is it going to be an all-Oxford affair? Are the Cambridge grads now out of it? Another day and more nominations come in for the Labour leadership with the two Milibands having achieved the threshold and with Ed Balls getting a tad closer to that 33 nomination target. It’s starting to look as though only the University of Oxford graduates who are running, the Milibands and Balls, are going to make it. Of the other three Abbott and Burnham both went to Cambridge while John McDonnell went to Brunel as a mature student. That’s life I’m afraid. As we’ve shown before on PB it’s the dark blues that dominate British politics.